This site is a free, non-profit making site, intended to supply extra information for the readers of my books and others who are interested in Out-Of-Body travel and exploring higher states of consciousness. VISTAS OF INFINITY goes further than ever before into the Afterlife States. A follow up to Multidimensional Man it covers the seven years after its publication, drawn from reports of over sixty hours spent in hyper lucid Out-of-Body states of consciousness. 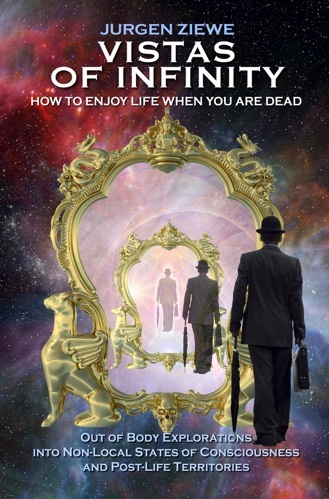 New insights into life after death and detailed accounts of the Heaven worlds. Awakenings and Spiritual Transformative Experiences (STE) and how their integration transforms our personal lives. This is a new 2-part article dealing with some misconceptions about enlightenment and the integration of an Awakening experience into our everyday lives. People who had Near Death experiences (NDEs) or powerful Spiritual Transformative Experiences (STEs) often find it hard to accept being thrown back into their old lives after having learned that their true identity and true home appears to be located in a different dimension. In reality their true home is never far away. It is located right here in our everyday reality. Once we connect the two we become permanently awakened and our world transformed. There is a dimension more strange, more mysterious, more fascinating and more overwhelming than we can ever imagine. These are the Super Dimensional levels of consciousness. Be prepared to enter a strange new world, yet a world at the very heart of each one of us. Will we need for a new definition of the “Astral Plane”? What is it like to be “dead”? 1. What is an awakened Mind? A presentation over Skype to the Institute of Neuroscience and Consciousness Studies. Rick Archer is best known for interviewing people who had profound “Awakening Experiences” and over the years he has demonstrated that a state of awakening is a powerful potential we all share. He talks to Jurgen about his take on it. Evita Ochel is a yoga and meditation teacher who has devoted her life helping others live out the highest potential of their being by offering guidance and resources in the areas of spiritual evolution. These are two interviews from 2017. 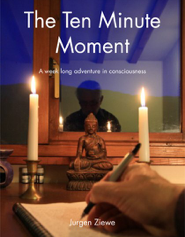 The first ione about my book “The Ten Minute Moments” which is about Awakening. The second with with Renate is about Out-of-body experiences and our life after we die. DO WE DISSOLVE INTO NOTHINGNESS WHEN WE DIE? MANY people who visit a site such as this one more or less accept that life goes on after we die. So this site is dedicated to shed light on how such a continued existence might look like in detail. 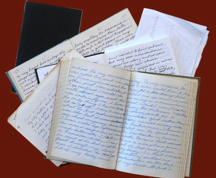 All the information here is based on the personal experiences of over forty years of Out-of-Body experiences by consciousness explorer Jurgen Ziewe. You will find many answers on this website. NEW The really BIG questions about thoughts, meditation and living an awakened life.